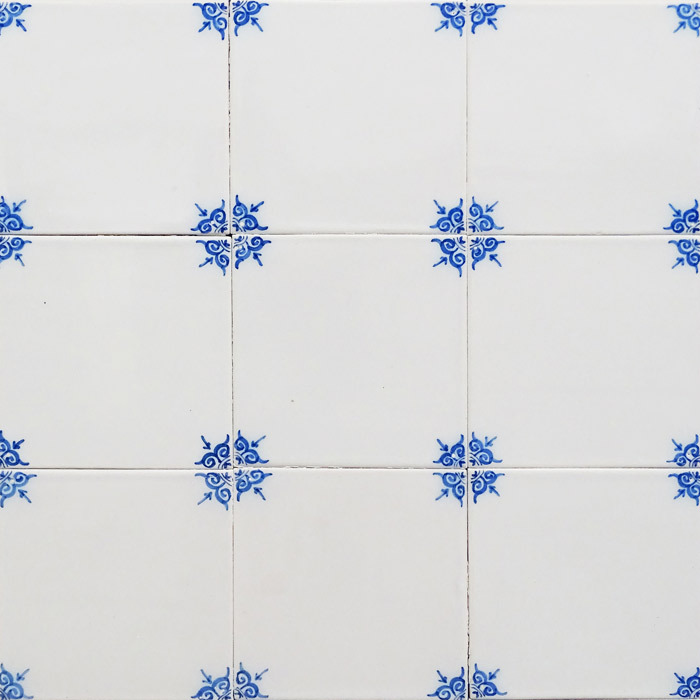 Like all tiles, our Frisian Whites are shaped by hand and glazed by hand. This produces white with a beautifully nuanced play of colours, it comes alive. 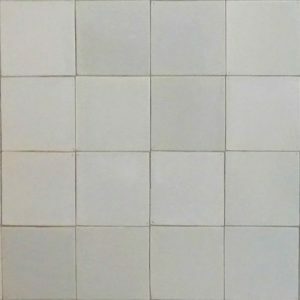 All traditional hand-formed tiles have holes in the corners, our whites do too. This is a sign of authenticity. Read the article about why our Frisian Whites are so special here. We have Frisian whites in the collection we call Old Dutch white. The colour of these whites has a blue tint like the classic whites have. 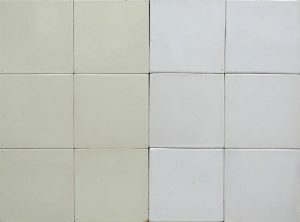 We distinguish between the colourful mix with a lot of colour difference and the tranquil mix with nuanced colour difference. 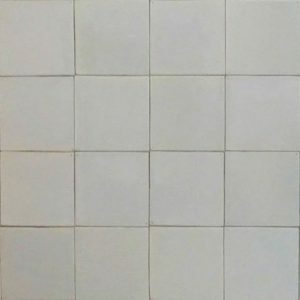 Of course it is difficult to see this on the computer, the best thing to do is to come to us and see an actual tiled wall. 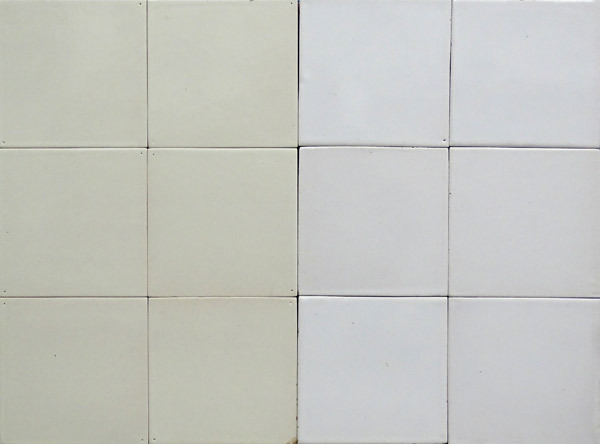 We now supply whites not only in Old Dutch white but also in all kinds of other shades of white. The shades go from cream and grey to snow-white with other combinations being also possible. For example, the Goldene Gans project uses cream, warm grey and antique beige. Click here to see the project. 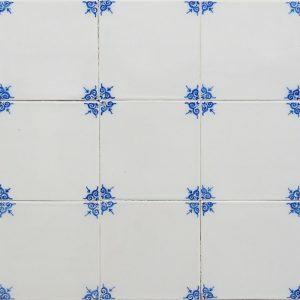 Historically, whites do not have crackles because a good craftsman can make whites without any crackles. We do supply them with crackles on request, however this requires additional actions. 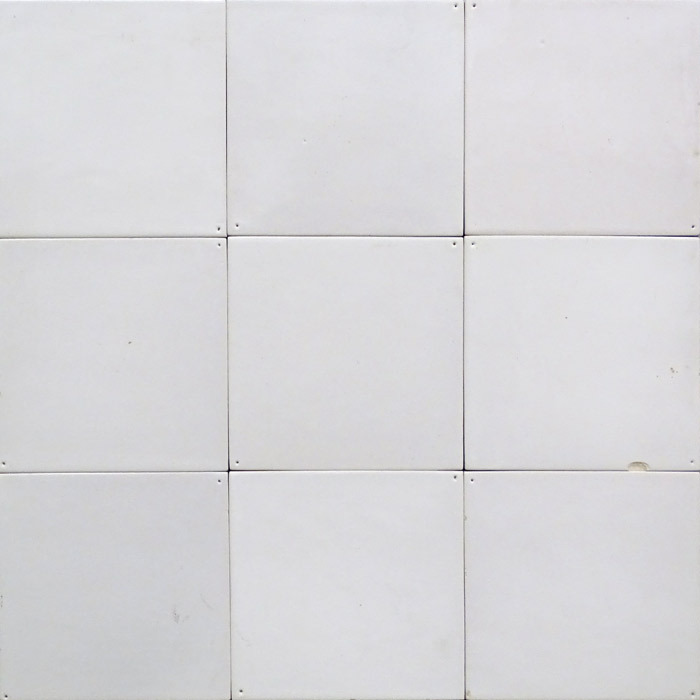 A popular item is the white tile with corner decoration with the ox head being the most popular. Besides the ox heads, there are many other corner decorations available. 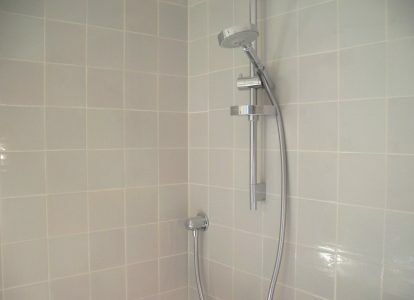 Frisian whites are very suitable for the bathroom, kitchen and toilet but are also suitable for in the shower. 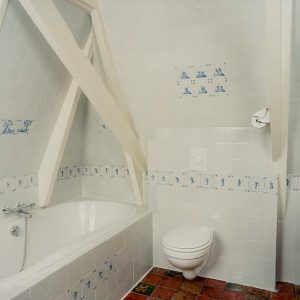 Other applications such as the chimney or the panelling are of course also possible.